Many men have passed through the doors of St. Mary's Assumption, many not staying for longer than several years at a time. In fact, by the time the parish celebrated its 25th Anniversary, seven priests had come and gone. For that reason, it is difficult to highlight the accomplishments and lives of these men at St. Mary's Assumption because of the short amount of time here. Few photographs of the priests exist locally, so many images that you see have been taken from newspapers and obituaries. Rev. Charles Zadora of St. Joseph's Church in Fredonia, NY has done the Catholic Community a wonderful service by compiling data relating to priests in the Buffalo Diocese. He has provided obituaries, short biographies and images as well. I have borrowed from what he has compiled to give a little insight into the priests who served the Polish community at St. Mary's Assumption in Albion throughout its 116 years as a functioning church. His page can be viewed HERE. The Polish Genealogical Society of New York State also has provided links to biographies of early Polish priests in the Buffalo Diocese. That page can be viewed HERE. Consider joining the society, there are many benefits to joining! Castaldi, John, was born at Piacanza, Italy, November 28, 1834. His father was a merchant, and at the age of fifteen John was sent to college. For three years he studied philosophy and then attended College Alberroni, and still later was at Genoa at the Propaganda. Having completed a very thorough education, our subject entered the priesthood, and in September, 1859, came to Buffalo as assistant priest at the Cathedral. Later he was at Corning and Batavia, and in January, 1862, was appointed to St. Joseph's at Albion. He also attended the parish at Holley about thirteen years. Coming to Albion, Father Castaldi found about 100 families in his parish; it now numbers 200. He also attended the Polish people in Albion for a time. In 1870, through his own efforts, and at his own expense, Father Castaldi established the "Holy Name" convent now in charge of the Sisters of Mercy, and we may add that this insti tution has ever been supported by the worthy priest. Bartlomiej Swinko was born in 1863 in the village of Laczko (Galicja). After his early education in Nowy Sacz, he studied theology in Krakow and was ordained there in 1886. He served several parishes in the city for eighteen months before immigrating to the United States. Swinko's priestly career in the United States began at St. Stanislaus parish in Buffalo, NY. Bishop Quigley then appointed him pastor of the Polish St. Casimir parish in Elmira, NY. In 1891, Swinko was transferred and given the responsibility of organizing a Polish parish in honor of Our Lady of the Assumption in Albion, NY. Here he built the first church, rectory and, eventually, the impressive red brick church (with a seating capacity of 500) which still stands today. In 1896, Ks. Swinko was sent to the parish of St, Hyacinth in Dunkirk, NY. Improvements he made during hist stay there included painting of the church?s interior, purchasing a pipe organ for the choir loft, and addition of plumbing and electricity to the church buildings. In 1899, Swinko purchased fifteen acres of land for use as the parish cemetery; himself donating the large name header gracing the entrance gate. In 1912, he built a new brick convent for the Felician nuns staffing the parish school. During his last years at St. Hyacinth, the Independent movement was reaching Dunkirk and a dissatisfied faction was growing in the parish. This caused him much heartache and trouble. He resigned his position as pastor of the parish in 1914; the stress from the painful experience having caused him serious health problems. That same year, Swinko was reassigned to St. Casimir parish in Buffalo, NY, but poor health made his stay there a short one. He then left for Colorado, dying in Denver on May 24, 1915. His remains were returned to Buffalo for a funeral from St. Casimir's Church and interment at St. Stanislaus Cemetery. 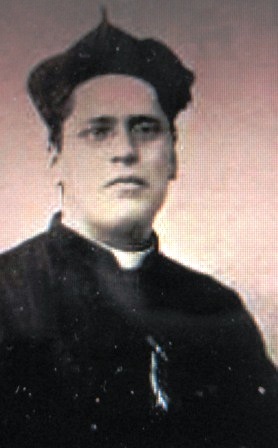 Piotr Basinski, born in Jarocin in 1855, was educated in Srem. After graduation (1878) he served in the Prussian Army as an artillery soldier. Upon completion of his army stint, Basinski taught in Warsaw for eight years before sailing for the United States. Once here, he studied for the priesthood at the newly organized Polish seminary in Detroit, MI. He also served as a part-time instructor there because of the serious problem of a lack of qualified teachers in the schools early days. Ordained for the Buffalo Diocese in March 1893, Basinski then served as assistant to Ks. Jan Pitass and Ks. Wiktor Zareczny of St. Stanislaus and St. Adalbert parishes, respectively. In September of 1893 he was appointed to organize and serve as pastor of Holy Cross parish in Salamanca, NY. He remained in Salamanca until 1895; in January of 1896 the bishop reassigned Basinski to the pastorate of the Polish parish of Assumption in Albion, NY, a post he held until 1900. Chronicles also report that Basinski served as pastor of St. John Kanty parish in Buffalo, NY for approximately one year (1900-1901). The next reference to Ks. Basinski notes that he served as pastor of St. Stanislaus parish in Fall River, MA. Under his direction a parochial school, staffed by Felician nuns, was opened there in 1906. According to parish reports he then traveled to Sacred Heart of Jesus parish in New Britain, CT to serve as assistant to Ks. Pralat Lucjan Bojnowski from February 8, 1912 to December 2, 1912. Michal Dyminski, born October 30, 1869 in Zbioska, Galicja, first attended local schools in the area of Sanok. In 1893, he was accepted at the newly organized Polish seminary in Detroit, MI. After his ordination in 1897, Dyminski celebrated his first Mass at Buffalo?s St. Adalbert parish. During his stay in the Western New York area, he was first assigned to assist Ks. Jan Pitass at St. Stanislaus parish and then transferred to St. Adalbert and Transfiguration parishes (Buffalo). His tenures as pastor began when he was appointed to St. Casimir parish in November 1898; this was followed by an assignment to Assumption parish in Albion, NY. In 1903, Dyminski was named pastor of Holy Trinity parish in Niagara Falls, NY. Here he began a great construction program and is credited with having been responsible for the magnificent buildings that make up the parish complex today. In 1911, he left Niagara Falls for Philadelphia, PA. The 1920s saw Dyminski serving as the popular pastor of the Church of St. Stanislaus, B.M., in St. Joseph, MO. During his years there, the school reached its enrollment peak and the parish prospered. After his tenure in St. Joseph, he was appointed chaplain at the Shrine of the Black Madonna of Czestochowa in Eureka, MO. 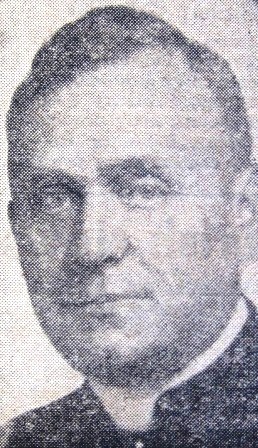 Dyminski died in 1946 during a visit to Poland. Adam Marcinkiewicz was born in 1867 in the town of Przeclaw (Galicja). It was here that he received his primary education. Upon completion of his schooling in Tarnow, Marcinkiewicz was admitted to the University in Krakow to study law. After his family emigrated and settled in Buffalo, NY, Adam continued his education at the Polish seminary in Detroit, MI and was ordained in 1896. As was the custom, he celebrated his first Mass in his home parish of Transfiguration (Buffalo, NY). Before receiving his first pastorate, the newly ordained priest was assigned to assist Ks. J. Pitass, Ks. J. Wojcik, and Ks. T. Flaczek. Then, in 1897, he began his tenure as pastor of Holy Cross parish in Salamanca, NY, a parish founded only four years earlier. 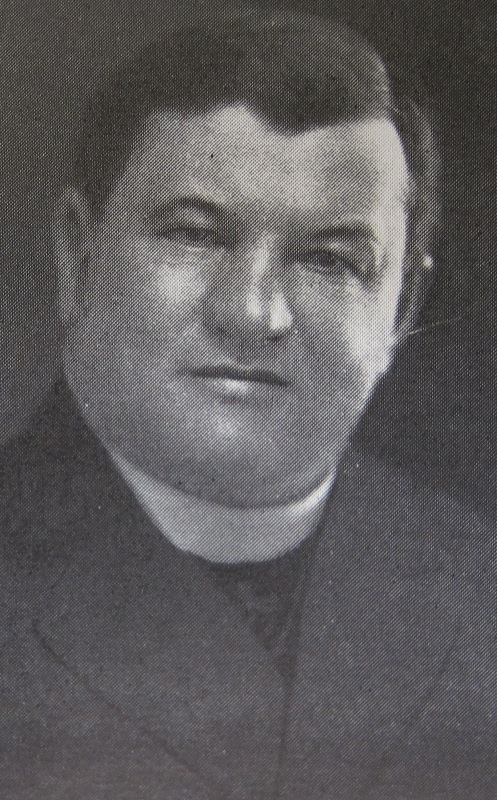 Following Salamanca, Marcinkiewicz was named pastor of St. John Kanty parish in Buffalo, NY, a position he held for three years. In 1903, he left Buffalo for his last known assignment in this diocese - a pastorate at the Church of the Assumption in Albion, NY. Marcinkiewicz was seriously involved in working for the success of the Polish seminary, serving in various capacities in the school?s Alumni Association. 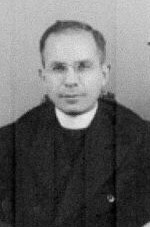 In 1918, he was transferred to Detroit, MI and became the assistant pastor of the oldest Polish parish in that city, St. Adalbert (across from the Polish seminary, which was located in Detroit at that time). He would remain there until his death in 1939. During his lifetime, Marcinkiewicz wrote several books, both of a religious and secular nature. Leopold Stein, a convert to Catholicism, was born in Lwow, Galicja. After having been educated in the same area, he worked as a professor of Latin and mathematics at Lwow university. Stein made his way to the United States and eventually entered the seminary. After having been ordained to the priesthood in Baltimore, MD in 1896, he began his priestly career by ministering to the Polish community in Cornwall, PA. He then traveled to Buffalo, NY where he served at St. Adalbert parish. His next assignment was a pastorate at the Church of the Assumption in Albion, NY. During his two-year tenure Stein was responsible for erecting a wooden schoolhouse. 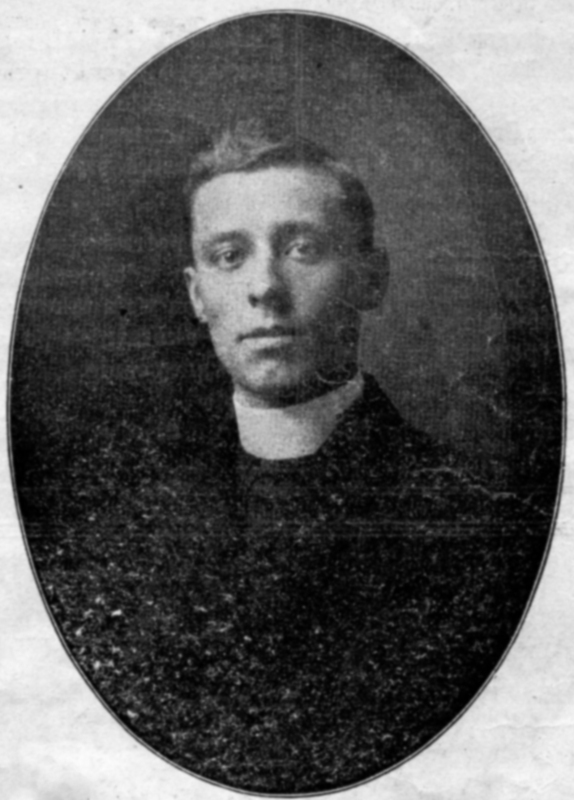 In 1908, Stein returned to Buffalo and agreed to serve as first pastor of St. Luke parish. While there he built the parish?s first wooden church (and later, the combination structure which still stands today) and petitioned the Felician Sisters to staff his new school. He also organized two church societies. Poor health caused Ks. 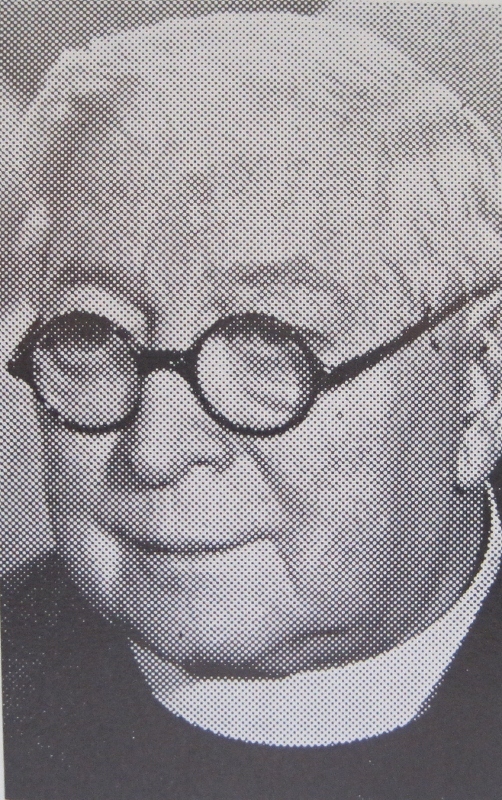 Stein to resign his pastorate in 1913. 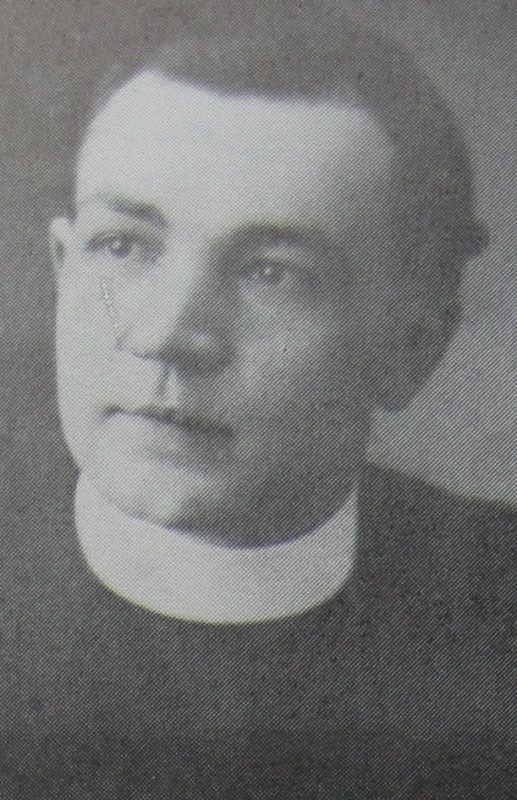 Father Bubacz prepared for the Priesthood at St. Bernard Seminary, Rochester and was ordained a priest of the Diocese of Buffalo, New York, on June 10, 1905. Following ordination, he was assistant pastor of Assumption Church and St. Adalbert Basilica, both in Buffalo, and in 1908, became pastor of Assumption Church in Albion. He was pastor of Our Lady of Czestochowa, North Tonawanda; SS. Peter & Paul, Depew; St. Stanislaus, Perry; and Holy Cross, Salamanca. At the time of his death at the age of 78, he had been pastor of St. Philomena parish in Franklinville for 27 years. Father Bubacz served as director of the United States-Poland Cooperation during the administration of President Wilson. His funeral was held at St. Mary of the Angels Church in Olean, New York. Burial was in Blossburg PA.
Rev. 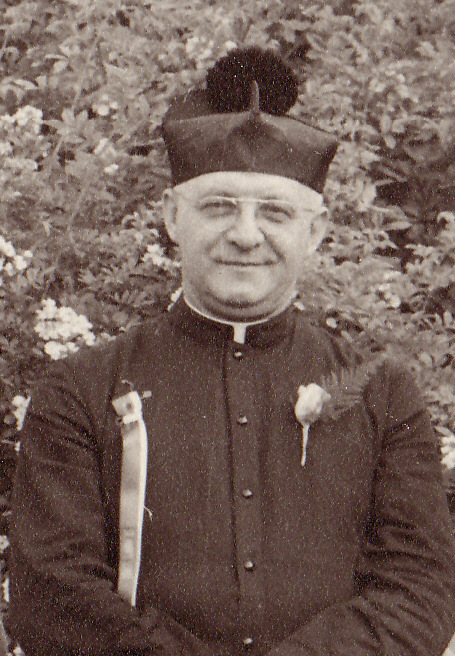 Charles Mioduszewski served in many parishes in the Diocese of Buffalo, New York. He died at the age of 69 years old and had been a resident of the Brothers of Mercy Home in Buffalo for seven years. He studied at the Latin Seminary in Jerusalem and at SS. Cyril and Methodius Seminary, Orchard Lake Michigan. He was ordained on July 1, 1906. 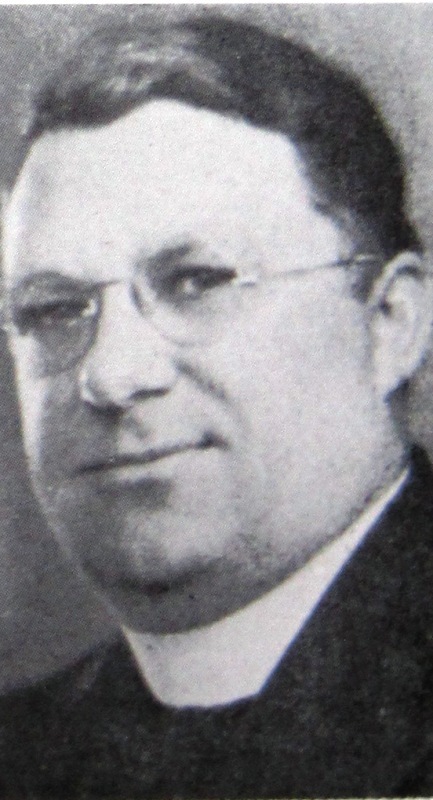 He served as assistant pastor of St. Stanislaus, Buffalo; Sacred Heart, Batavia; and Assumption Church Albion, before being appointed pastor of St. Josaphat Parish Cheektowaga in 1914. He was also pastor of Sacred Heart, Medina; SS. Peter and Paul Church, Crowlands, Ontario, and Our Lady of Perpetual Help Church, St. Catherines, Ontario. In his later years he assisted at St. Andrew, Sloan and Transfiguration, Olean. Rev. 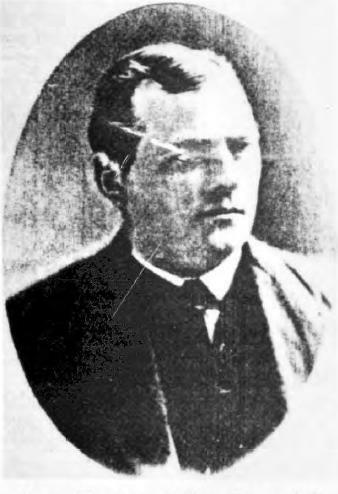 John M. Szmytkowski came to the United States when a boy and attended schools in Trenton NJ. After graduating from St. Peter College in Jersey City, he entered St. Bernard Seminary in Rochester, New York and was ordained a priest of the Diocese of Buffalo, New York on June 12, 1909. His first assignment was as an assistant at Assumption Church in Buffalo. Later, he was transferred to St. Stanislaus, Buffalo. In 1914, he was made pastor of Assumption in Albion, NY; in 1919 was made pastor of St. Florian, Buffalo; in 1950, St. Luke, Buffalo. On May 30, 1954, he was transferred to Transfiguration Church in Buffalo, his assignment when he died at the age of 70. He died in a Miami Florida hospital, where he had been a patient a few days. He had been ill for several months and had gone to Florida to recuperate. 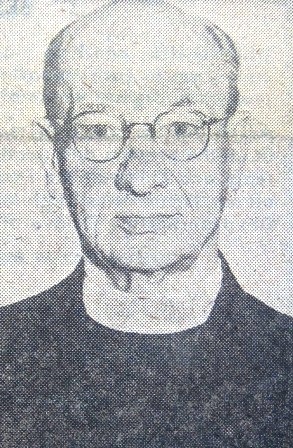 Father Brejski was the pastor of Assumption church in Buffalo, New York. He prepared for the priesthood at SS. Cyril & Methodius Seminary, Orchard Lake Michigan and St. Bernard Seminary, Rochester. He was ordained a priest of the Diocese of Buffalo, New York, on June 10, 1910 and served as an assistant pastor of Transfiguration Church in Buffalo. In 1916, he was made pastor of St. Stanislaus, Perry and then of Assumption, Albion in 1919. In 1920, he was appointed to St. Valentine parish in Buffalo, where he built the rectory, school and convent. 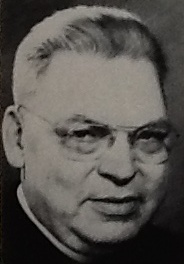 He became pastor of Assumption parish, Buffalo, in 1925. His hobby was woodworking and had a shop in the basement. Msgr. Paul was pastor of St. Casimir Church in Buffalo, New York at the time of his death at the age of 68. He prepared for the priesthood at St. Bernard Seminary in Rochester NY and was ordained in Buffalo on June 12, 1915. His first assignment was as assistant pastor of Queen of the Most Holy Rosary Church in Buffalo. After this, he was named administrator of St. Florian Parish, and then assistant pastor of St. Luke parish both in Buffalo. In 1920, he became the first pastor of St. Mary of the Assumption parish in Albion and in 1921, he organized the parish of St. Michael the Archangel in Lackawanna. In September 21, he became pastor of Queen of Peace Church in Buffalo, going to St. Casimir Church in June 1955. Rev. Benedict Hordych, O.F.M. Conv. attended Canisius College and prepared for the priesthood at SS. Cyril and Methodius Seminary, Orchard Lake Michigan. He was ordained a priest of the Diocese of Buffalo, New York in 1898 and was the first pastor of Transfiguration Church, Olean which he organized. Later he was pastor of St. Josephat Church, Cheektowaga; Assumption Church, Buffalo; and Assumption Church, Albion. In 1940, Father Hordych entered the order of Franciscan Friars Minor Conventual and was assigned to Corpus Christi Church, Buffalo. He died as a resident of the Brothers of Mercy Nursing Home. Rev. Peter Pitass was ordained a priest on June 24, 1892 and was the chaplain, for many years, of the Immaculate Heart of Mary Home in Cheektowaga, New York. He was a priest of the Diocese of Buffalo and the brother of Msgr. 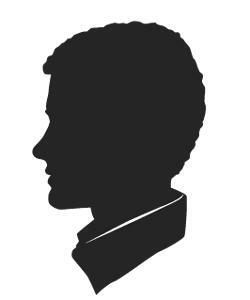 Alexander Pitass, second pastor of St. Stanislaus Church and the nephew of Fr. 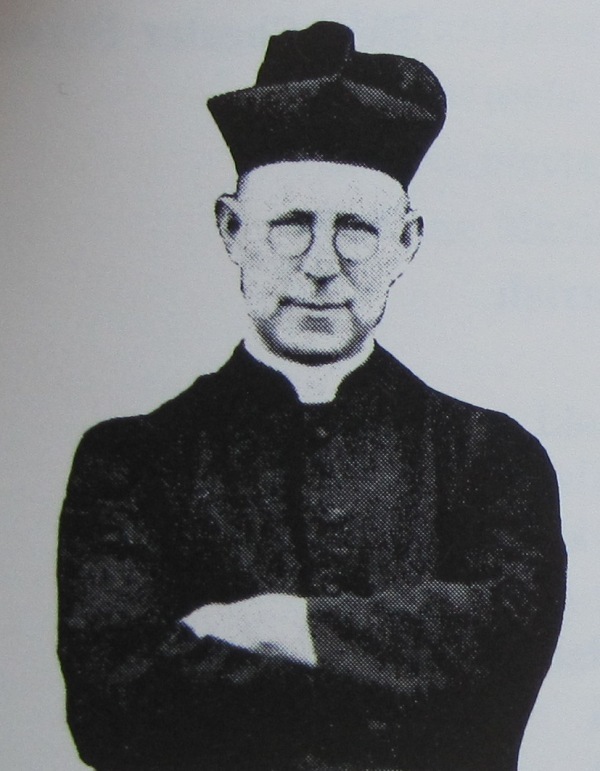 John Pitass, first pastor of St. Stanislaus. He was the founding pastor of Holy Apostles Peter and Paul Church in Buffalo (1909-26). Father John Melinski, 65, died suddenly of a heart attack at the home of his sister on Cable Street in Buffalo. He had been pastor of Holy Apostles, Peter & Paul since February, 1956. Before that he was pastor of St. Hyacinth, Dunkirk; and Assumption, Albion. He studied for the priesthood at Canisius College and at SS. Cyril and Methodius Seminary, Orchard Lake, Michigan and was ordained a priest of the Diocese of Buffalo, New York in 1917. His other assignments in the diocese included assistant pastor of St. Adalbert, and St. Stanislaus parishes in Buffalo, Chaplain at Meyer Memorial Hospital and St. Anthony Home for the Aged in Hamburg. Rev. John L. Hrycyna, 97, was educated in his home town and then attended SS. Cyril and Methodius Seminary, Orchard Lake, Michigan. Ordained a priest of the Diocese of Buffalo, New York on May 29, 1920 by Bishop William Turner, he was a priest for 72 years. He served as an assistant pastor at Queen of the Most Holy Rosary, Holy Apostles Peter and Paul, St. Florian, St. Luke and Queen of Peace, all in Buffalo; as well as Holy Trinity Parish in Niagara Falls. He was pastor of Assumption Parish, Albion, St. Hyacinth, Lackawanna; and for fifteen years at St. Hedwig, Dunkirk (1959-1974). He retired in 1974 from St. Hedwig and was pastor emeritus of that parish. After retirement, he lived at the St. Columban Retirement home for 20 years, and then at Lake Shore Nursing Home until he died. Rt. Rev. Msgr. 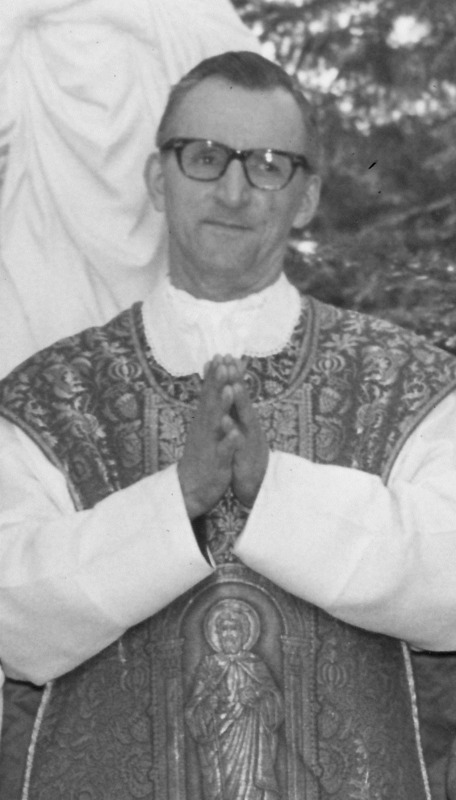 Ignatius A. Wojciechowski was a retired pastor of St. Augustine Parish, Depew at the time of his death at the age of 81. In retirement, he resided at the Immaculate Heart of Mary Orphanage in Cheektowaga. Msgr. Wojciechowski began studies in Poland and came to the United States, studying for the priesthood at St. Mary Seminary, Orchard Lake Michigan. He was ordained in Buffalo by Bishop Turner in 1920. He served as assistant pastor at St. Barbara, Lackawanna; Holy Trinity, Niagara Falls; and St. Adalbert, Buffalo. In 1932 he was appointed pastor of St. Gabriel parish in Blossom and in 1948, was named pastor of St. Mary, Albion. In 1952 he was appointed pastor of St. Augustine in Depew. He retired from St. Augustine in 1961 for health reasons. When Msgr. Wojciechowski became pastor of St. Augustine, there was no parish church building--it was destroyed by fire in 1951. He supervised the building of the new St. Augustine Church and paid the mortgage by 1959. 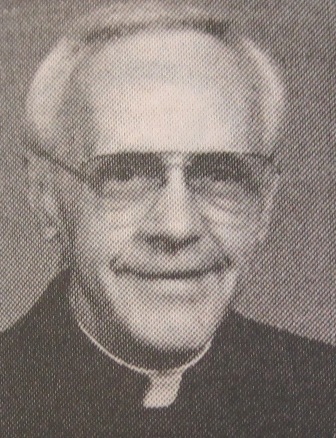 Father Kopec was pastor of Visitation Church in Buffalo, New York at the time of his death at the age of 60. He attended Christ the King Seminary, St. Bonaventure University and was ordained a priest of the Diocese of Buffalo, New York, on June 11, 1927. His first assignment was as assistant pastor at St. John Kanty Church in Buffalo, and subsequently served as assistant at Assumption, St. Bartholomew, St. Mary Magdalene, and at St. John the Baptist in Lockport, where he became administrator in July 1932. After that, he returned to Assumption, then also served at St. Casimir and Blessed Trinity in Buffalo, and at St. Hedwig in Dunkirk, St. Stanislaus and St. Florian in Buffalo. 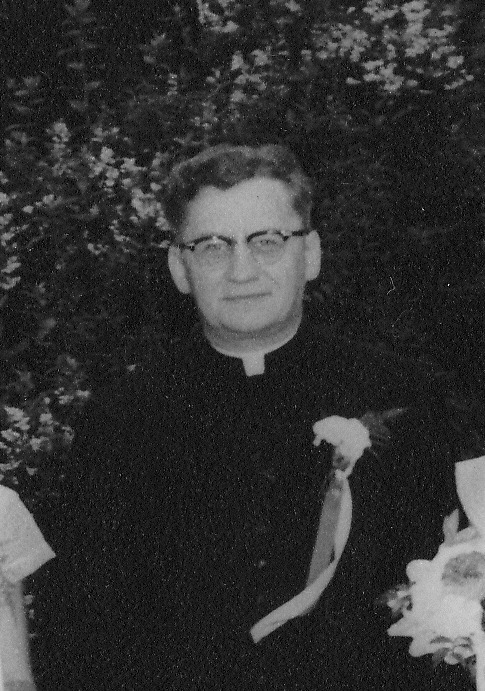 Father Kopec's first pastorate was St. Isaac Jogues in Sherman with its mission, St. Thomas More in Ripley in 1948. He was the parish's first resident pastor. In 1952, he was appointed pastor of St. Mary Assumption in Albion, where he served until his transfer to Visitation. Fr. 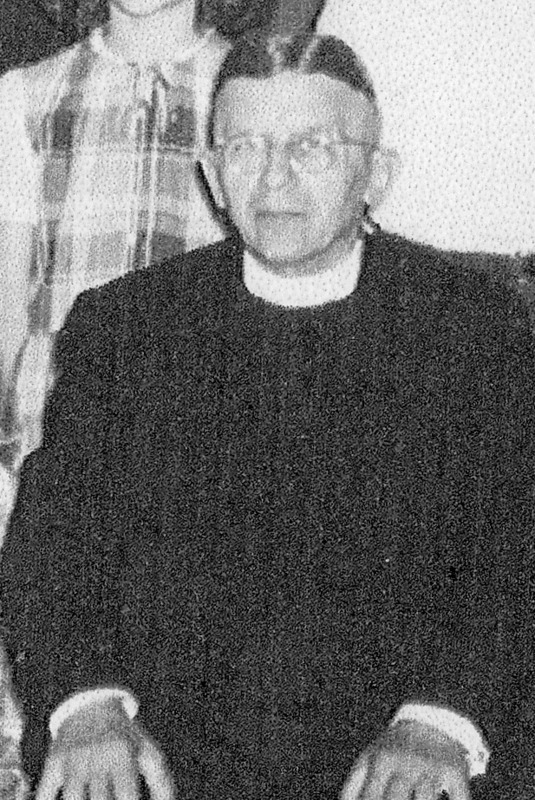 Borowiak was retired pastor of St. Barbara Parish in Lackawanna, New York at the time of his death at the age of 79. He attended Christ the King Seminary and was ordained a priest of Buffalo in 1931. Previously, he had served as associate pastor at St. Valentine Church and St. Stanislaus Churches in Buffalo and was pastor of St. Matthias in French Creek and St. Mary, Assumption, Albion. He was appointed to St. Barbara Parish in 1965 and served as pastor for 17 years. Fr Cybulski was ordained a priest of the Diocese of Buffalo NY in 1965 and served as assistant pastor in several parishes and taught at three high schools: Notre Dame in Batavia, Bishop Turner in Buffalo and Archbishop Walsh in Olean. In 1982, he became pastor of St. Stanislaus Koska Church in Perry NY and in 1985 became Campus Minister and Guidance Counselor at Bishop McMahon High School in Buffalo. He also ministered part time at the Albion Correctional Facility. At the time of his death at the age of 60, he was pastor of St. Joseph and St. Mary Parishes in Albion NY. Rev. Leonard Podlewski came to the United States with his father at the age of 9. He studied for the priesthood at SS Cyril & Methodius Seminary at Orchard Lake, Michigan, and at St. Bernard Seminary in Rochester, New York. He was ordained for the Diocese of Buffalo, New York, in 1904. After serving as assistant pastor of Annunciation and St. Stanislaus parishes in Buffalo, he was appointed Pastor of Transfiguration Church in Olean. Later he also served at Holy Cross in Salamanca, St. Barbara in Lackawanna and Sacred Heart in Batavia. In 1929 he was appointed chaplain of the Felician Sisters convent at Villa Maria, where he died at the age of 52. Father Podlewski was a talented preacher and prominent clergyman in the Polish community.